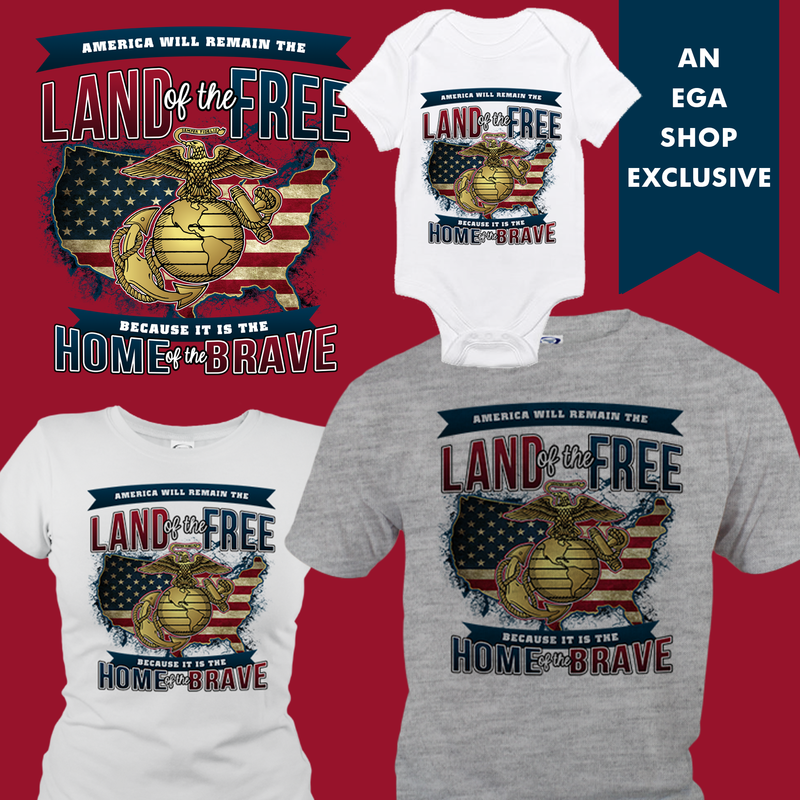 Learn How You Can Support Recruit and Marine Families! Recently, two proud Marine mothers and Marine Parents volunteers joined forces with their local Marine recruiter to help recruit parents understand what happens once a recruit signs up for the Marine Corps. Learn more in our first piece. Recently, two proud Marine mothers and Marine Parents volunteers from Illinois, Beth Bowles and Marnie Stroud, joined forces with Staff Sergeant Derek Meyers at their local Marine recruiting office to help other parents understand what happens once a recruit signs up. “Family members have a lot of questions they don’t know where to go to get answers to,” Stroud said. “Can we send the recruits things when they are in training? Can we call them? What happens if they get sick? How do we contact them in an emergency?" 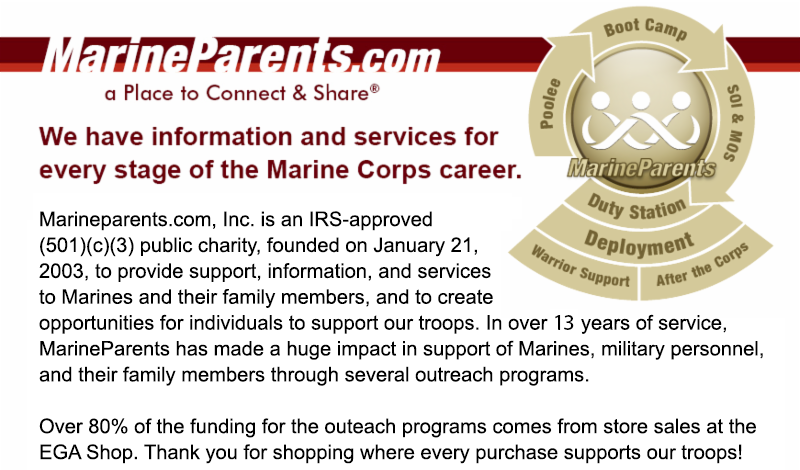 If you're interested in doing something similar and giving back to other recruit and Marine families, click here to learn how you can volunteer with MarineParents.com! *Image info: MarineParents.com volunteer Beth Bowles, left, along with Marnie Stroud (not pictured) are helping recruit parents navigate the process of having a child enlist in the Corps. 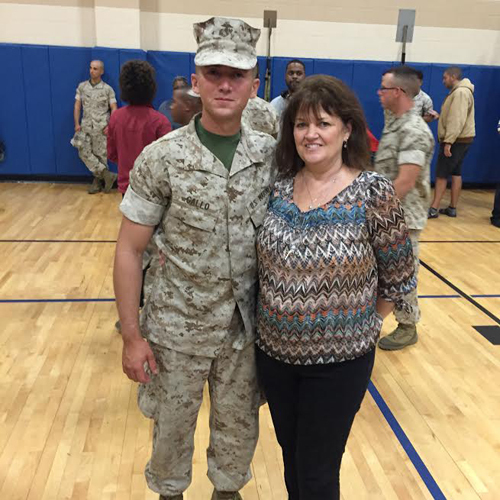 This week's featured volunteer is a proud Marine mother from Delaware--Marion Lucchesi. 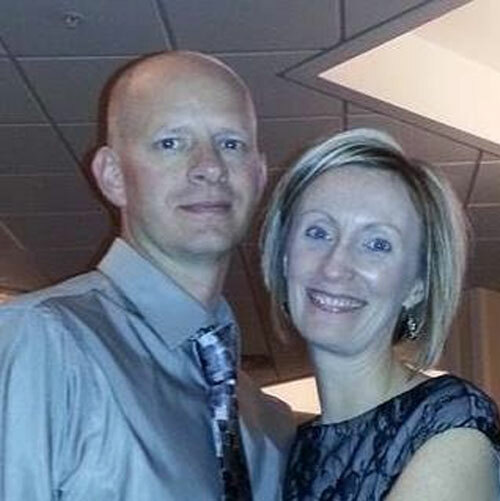 Marion has been a volunteer with Marine Parents since June of 2015, initially serving as a Platoon Parent for 1st Battalion, Alpha Company, before being promoted to the position of Company Leader for 3rd Battalion, India Company in September of that same year. 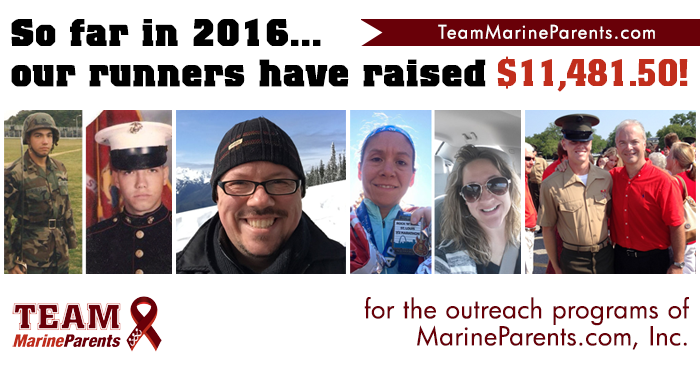 According to Marine Parents Facebook Groups Manager, Teresita Reynolds, "Marion's positive attitude has made her a standout Marine Parents Facebook volunteer. She generously shares her uplifting support and encouragement to the members of the India Company group without fail. She is dedicated and caring. 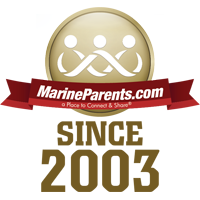 Marion is truly committed to MarineParents.com's mission of providing support, information, and services to recruit and Marine family members." *Image info: Amelia and her Marine son (image used with permission). 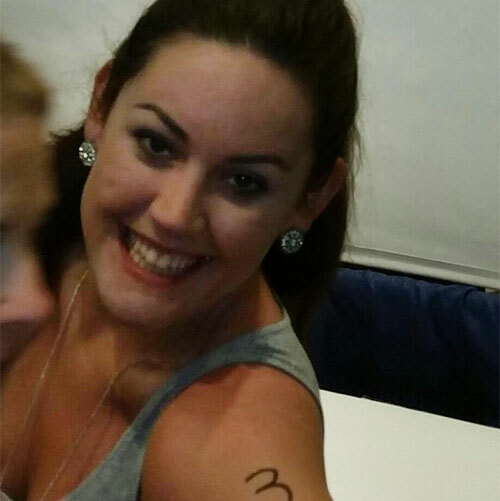 This week's TMP featured participant is a proud Marine supporter from Texas--Alison Quast. Despite not being a Marine or Marine parent herself, Allison has always been in "awe" of the commitment and sacrifices it takes to be a Marine, as well as to be the family member of one. After years of not exercising, Allison decided she wanted to get back in shape, beginning with cycling, then running and swimming and competing in triathlons, before eventually deciding she wanted to run a marathon. 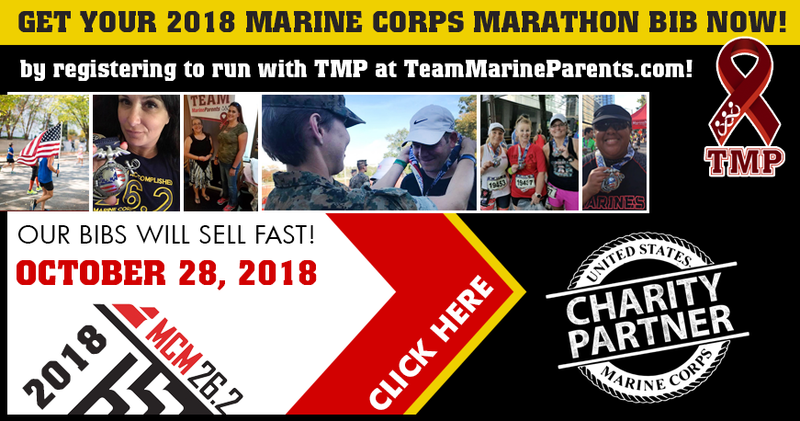 However, Allison didn't want to just run a marathon, she also wanted a way to give back and help others in the process, which is what led to her joining TMP and signing up for this October's Marine Corps Marathon. So far, Allison is still working on raising her $500 fundraising goal, and we know with your support she can reach that goal in no time. Thank you, Allison, for being a part of the team! Good luck in October! *Image info: Allison Quast (image used with permission). Matching gift and volunteer incentive programs are a great way to maximize your donation and fundraising efforts, as Team Marine Parents member Chris Buess and The Lubrizol Foundation of Wickliffe, Ohio recently demonstrated. Through the Lubrizol Foundation's matching gift program, Chris donated $260 to his own TMP campaign, and then foundation donated another $260. And, just like that, Chris' campaign received $520, bringing his 2016 fundraising total to $955! 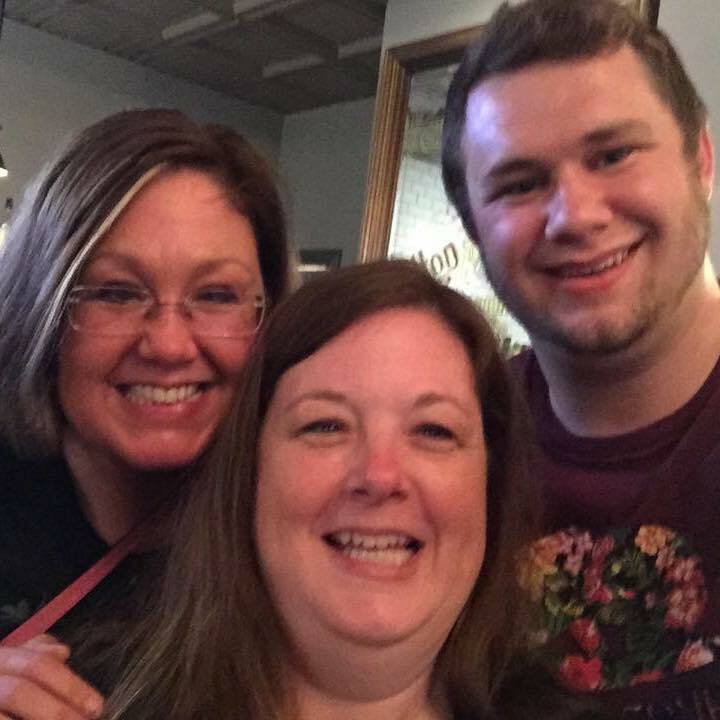 *Image info: TMP participant Chris Buess (left) recently raised $520 through a matching gift program sponsored by The Lubrizol Foundation of Wickliffe, Ohio. (image used with permission). Ninety-eight years ago, in June of 1918, the first major battle of World War I involving American troops took place at Belleau Wood-- a 200-acre forest near the commune of Chateau-Thierry, France, approximately 53 miles northeast of Paris. After weeks of brutal fighting against German forces, the Marines prevailed, and the battle has since gone down in Marine lore as one of the Corps' defining battles. To pay homage to the Marines who valiantly fought (and, in the case of almost 2,000, died) at Belleau Wood, Commandant of the Marine Corps General Robert Neller recently undertook a pilgrimage to visit the famed "Devil Dog" fountain that symbolizes the Marines' fighting spirit in the village of Belleau, France. The pilgrimage was part of a yearly ceremony in which American and French forces and guests gather at Belleau Wood to honor those from both countries who lost their lives in WWI. “Today we gather to honor the memory, the service, and the sacrifice of all the men who fought here, side-by-side, for liberty—Marines, soldiers, American and French. We return here annually to remember them and be fortified by their example, and to rededicate ourselves to the ideals they died for,” Neller said during the ceremony. 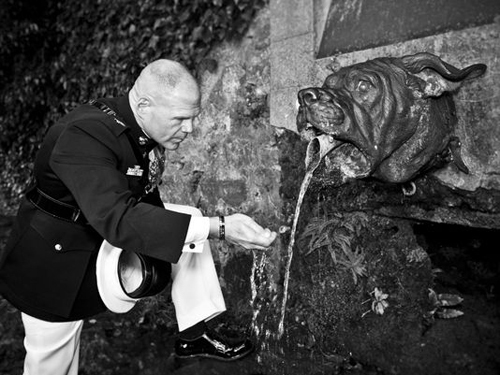 *Image info: Commandant General Robert Neller, gets water from the devil dog fountain after a ceremony at the Aisne-Marne American Memorial Cemetery, Belleau Wood, France. (USMC photo by Staff Sergeant Gabriela Garcia). Last Thursday, June 23, the Marine Corps released a statement indicating that they have concluded that a previously-unknown Marine was involved in Joe Rosenthal's iconic image of five Marines and one Navy Corpsman raising the American flag atop Mt. Suribachi during the battle of Iwo Jima. Commandant of the Marine Corps, General Robert Neller, formed a review panel to investigate the theory, originally raised by r esearchers working on a Smithsonian Channel documentary, that the long-accepted identities of the flag-raisers are incorrect. After extensively reviewing all available images, film, statements, and the findings of previous investigations, the panel and Commandant Neller came to the conclusion that one of the six men in the original photograph had indeed been misidentified. The Marine Corps now believes that the Corpsman identified in the photograph, Navy Pharmacist's Mate 2nd Class John Bradley, was not in Rosenthal's image but had instead been involved in the initial flag-raising that had occurred hours before. Based on the evidence reviewed, the Marine Corps has concluded that another Marine, Private First Class Harold Schultz, from Detroit, Michigan, was the sixth man in the Rosenthal image. "Our history is important to us, and we have a responsibility to ensure it's right," said Neller. "Although the Rosenthal image is iconic and significant, to Marines it's not about the individuals and never has been...Simply stated, our fighting spirit is captured in that frame, and it remains a symbol of the tremendous accomplishments of our Corps--what they did together and what they represent remains most important. That doesn't change." 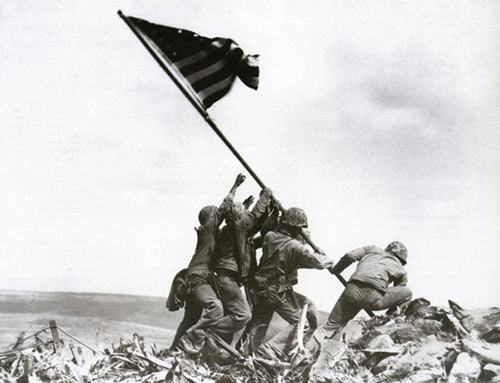 *Image info: Private First Class Harold Schultz has recently been identified as one of the flag-raisers (second from left) in this iconic photograph by Joe Rosenthal depicting the raising an American flag atop Mount Suribachi during the Battle of Iwo Jima. This past Saturday, June 25, saw more than 4,000 Marines and Sailors deploy with the Wasp Amphibious Ready Group. The Marines, with the 22nd Marine Expeditionary Unit out of Camp Lejuene, N.C., and the sailors, based out of Norfolk, Virginia, are scheduled to spend six months in the Mediterranean, Middle East, and African regions. The ready group comprises the amphibious assault ship USS Wasp, the amphibious transport dock USS San Antonio, both based out of Norfolk Naval Station, and the amphibious dock landing ship USS Whidbey Island, which is based out of Joint Expeditionary Base Little Creek-Fort Story in Virginia Beach. The group is commanded by Captain Byron Ogden. 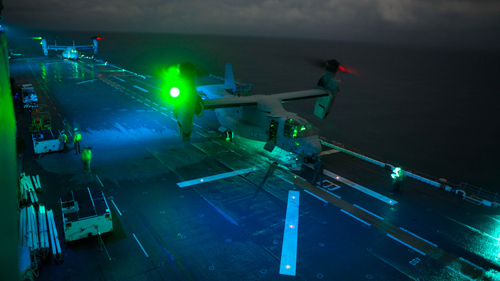 *Image info: An MV-22B Osprey with Marine Medium Tiltrotor Squadron 264 (Reinforced), 22nd Marine Expeditionary Unit (MEU), boards the USS Wasp, to bring Marines back from a tactical recovery of aircraft and personal mission May 19, 2016. (Marine Corps photo by Corporal John Hamilton). In a ceremony last Thursday, June 23, Gunnery Sergeant Geann Pereira was awarded the Navy and Marine Corps Medal, the highest non-combat decoration for heroism in the Corps, for his actions following a helicopter crash in Kabul, Afghanistan last fall. Pereira was stationed at Camp Resolute Support in Kabul on October 11, 2015, when a British Puma helicopter carrying passengers as part of a NATO mission crashed as it came in for a landing. Pereira was the first man on the scene and spent hours crawling through the wreckage pulling both survivors and fatalities from the aircraft. Five members of the multinational crew, two American airmen, two British service members, and a French contractor were killed in the crash. 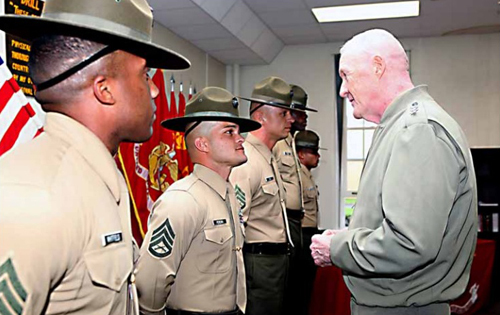 *Image info: Gunnery Sergeant Geann Pereira, pictured here as a Staff Sergeant, speaks to Lieutenant General Richard Mills during Mills' visit aboard Marine Corps Recruit Depot San Diego January 19, 2012, was recently awarded the Navy and Marine Corps Medal for heroism. (Marine Corps photo by Sergeant Keonaona C. Paulo). One hundred and eighteen years ago this week, on June 26, 1898, Lewis "Chesty" Puller, the most decorated Marine in history, was born in West Point, Virginia. Puller would enlist in the Marine Corps in 1918 during World War I (although he didn't see action during that war) and in 37 years of service, he served in numerous conflicts during the "Banana Wars," including the Occupation of Haiti and the Occupation of Nicaragua, World War II, including the Battles of Guadalcanal and Peleliu, and the Korean War, including the Battle of Inchon and the Battle of the Chosin Reservoir. 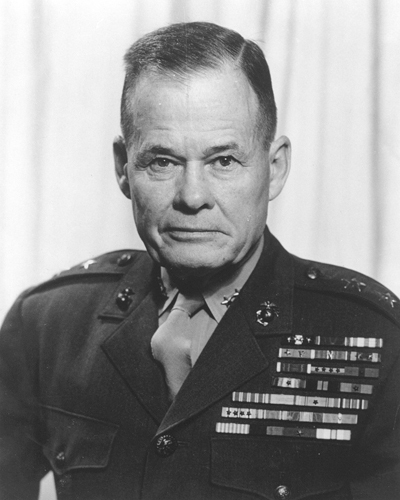 By the time he retired in 1955, Puller was (and still remains) the most decorated Marine in the history of the Corps. Puller is one of only two American servicemen to be awarded five Navy Crosses (the other being Rear Admiral Roy Davenport) and, with the Distinguished Service Cross awarded to him by the U.S. Army, he is the only serviceman to have been awarded the nation's second-highest military awards for valor six times. *Image info: Lewis "Chesty" Puller. (public domain image/released). Ninety-eight years ago this week, on June 26, 1918, one of the most important and legendary battles in Marine Corps history--The Battle of Bois de Belleau, or Belleau Wood, came to an end after 20 days of bitter fighting. This was a battle that exemplified the Marine Corps' core values of honor, courage, and commitment. It was a battle that catapulted the Marine Corps to worldwide prominence. And it was a battle that helped turn the tide of "The Great War" (as WWI was then known) in favor of the Allies. 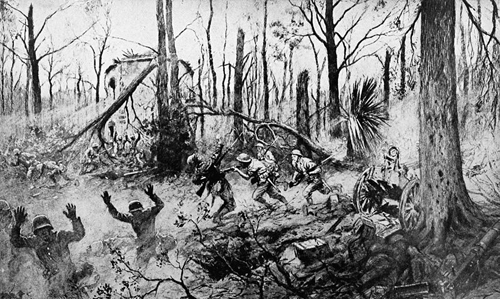 *Image info: "La Brigade Marine Americain Au Bois de Belleau" or "The American Marines in Belleau Wood" by French war correspondent Georges Scott. (public domain image/released).